Belfast and Kent are unlikely bedfellows. In May 2015, I will run two very different marathons in both. I ran the Belfast Marathon – that takes place on the May Bank Holiday Monday – this year in an attempt to quickly wipe away the memory of a terrible London Marathon performance a few weeks prior. It delivered, and I ran a reasonably relaxed 3hr 10mins. I really enjoyed the race atmosphere. It’s not too big, certainly not flat, and it’s in my beloved Northern Ireland, with the route taking you through some of the most newsworthy (in the bad old days) parts of the city. What’s not to love!? 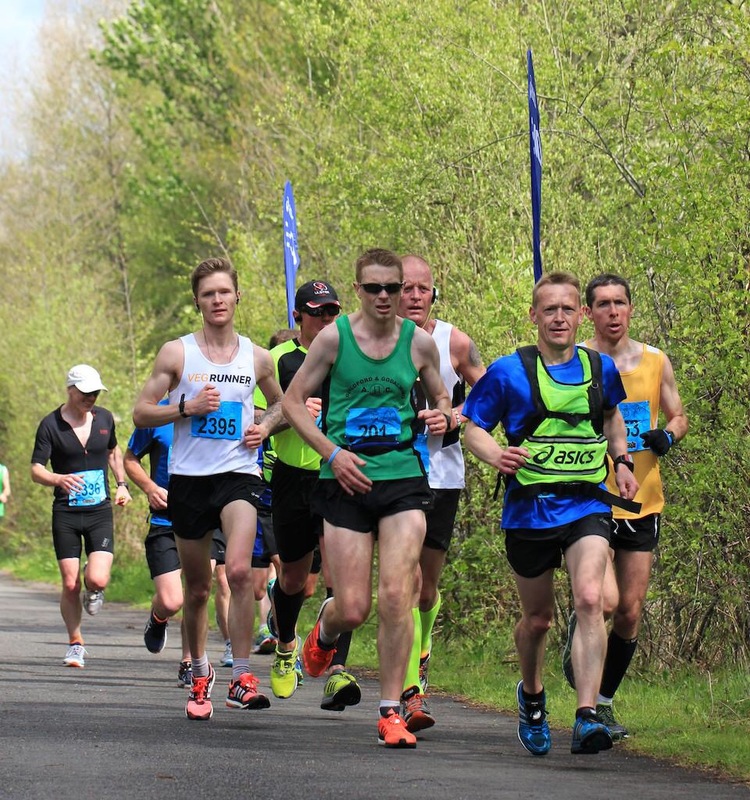 The Kent Road Runner Marathon takes place later in May and is very different. Held on a cycle track of 2.7km, you run 17 laps. I am not a fan of running around in circles, but this appealed as it provides a nice back-up race for Belfast and should make a fun watching experience for my wife and kids. I don’t intend on racing both marathons. Hopefully, Kent will be a relaxed run after a successful Belfast. 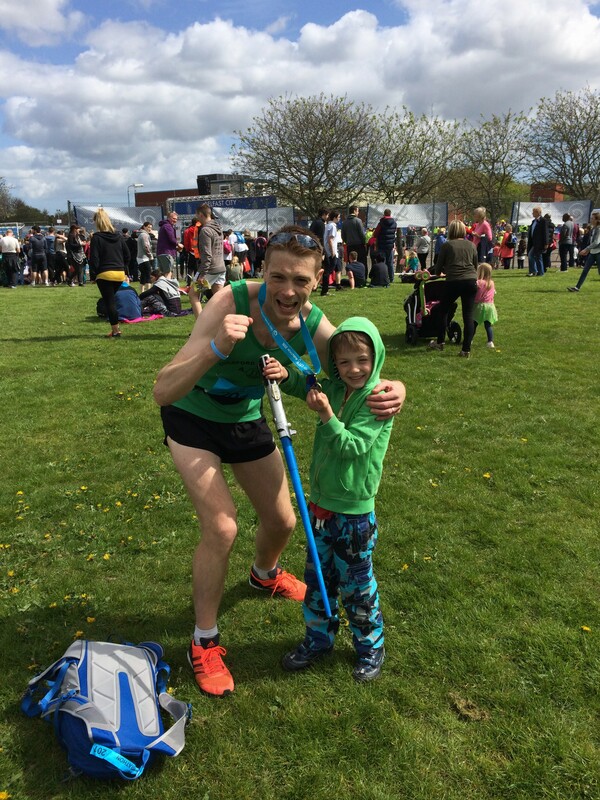 My objective is to finish in the top 80 in Northern Ireland, and if fit I will have a pop at running sub 3hours in doing so. It would be nice to get that elephant off my back on home territory. With this in mind, I have been considering what training programme to follow. Turning to the legendary Pfitzinger and Douglas’ ‘Advanced Marathoning’ book, the most attractive, and seemingly successful, is the 55 to 70 miles training regime over a sixteen week period. The question is, can my body sustain such high mileage? So, with some time off work last week, I decided to see what sort of reaction I would have to increased mileage. Since returning from injury in late July, I have run between 40 and 50 miles on average per week. The plan for last week was to up that to 75 miles. For the first three days I ran twice a day, with an easy run in the morning and another run in the evening. The Tuesday evening session included the Cooper Test on the track, which saw me running 3280m in twelve minutes. On the Thursday I had a relatively easy day as I had to change plans to go into the office, only running once early in the morning. On Friday I cracked out a steady 15 miles on the road mid afternoon. On Saturday I took to the trails for 10 slow miles, which included 10 hill repeats that I didn’t really commit to. I finished the week off with 11miles on the road on the Sunday morning. 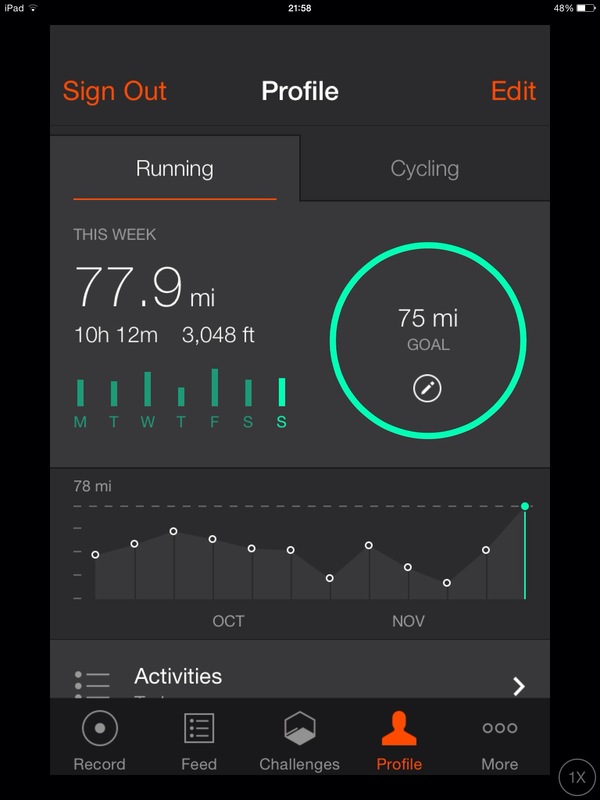 In total I ran 77.9 miles, my highest ever mileage for one week. It was great that I met my target of 75 miles, but I am not sure how much quality was included. If I am ever going to run sub 3 hours for a marathon I am sure I need to be able to run the mileage and ensure some quality speed and hill sessions are part of the mix. While questions about quality still exist in my mind, I now feel that the mileage is runnable. So, in mid January I will start the 55 to 70 miles programme with a view to smashing Belfast… or Kent. And between then and now, I will maintain a base of around 50 miles a a week with a focus on the cross country season’s big races in January and February. Time to get serious about my mileage.